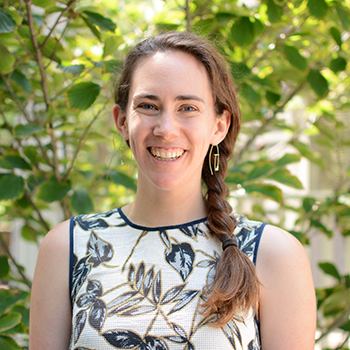 Katie Ertel works as a research assistant on the Pedagogy of Play project. Prior to coming to Project Zero, Katie taught 4th and 5th grade in Alexandria, Virginia and in Cambridge, Massachusetts, and middle school art and service learning classes at an international school in São Paulo, Brazil. During her teacher training, she also worked in 1st and 2nd grade bilingual classrooms. Katie has a B.A. in Studio Art and Environmental Studies from Williams College and a degree in Elementary Education from Prescott College, where she did much of her teacher training with Expeditionary Learning.Before becoming a teacher, Katie created programs for children in many different settings, including summer camps, disaster relief shelters, homeless shelters, a museum, an outdoor education center, and an interfaith organization, sometimes working in Spanish or Portuguese.